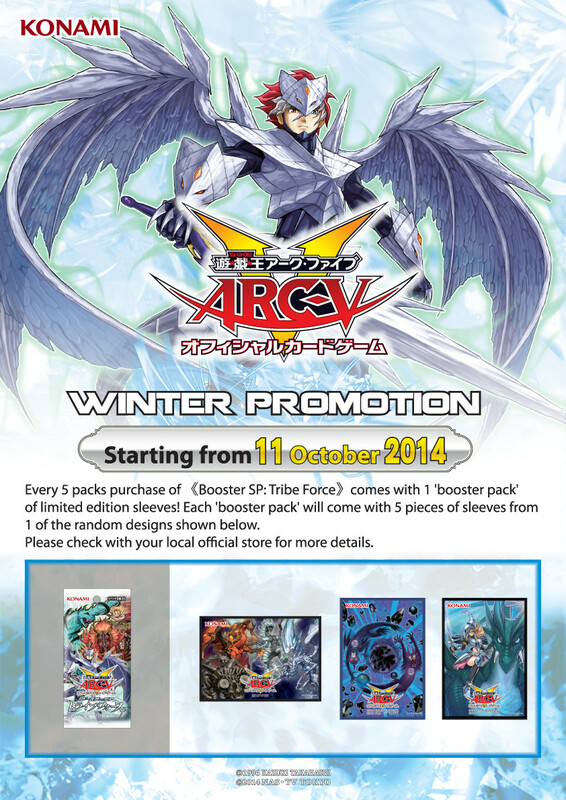 Continuing from 2004 to 2013, 2014 saw more sleeves being distributed in OCG Asia. While the quantity increased, the quality retrogressed, going from the popular shiny surface, to a mere glossy one. The card sleeves are listed in chronological order by date of distribution. The Top Store 2014 is an invitation-only tournament that was held in Taiwan. 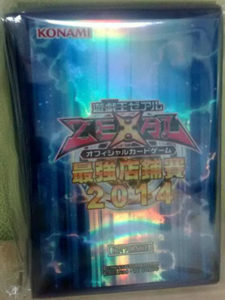 The Top Store 2014 card sleeves were given out to the players who participated in the Top Store 2014 tournament. These card sleeves comes in a pack of 70. The sleeves are good-fitting, of good quality, and comes with a nice shiny surface. The design is similar to the Top Store 2013 sleeves that were distributed in Malaysia. 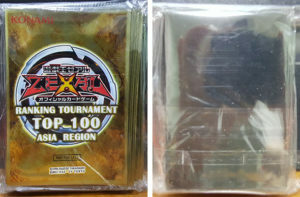 The Ranking Tournament Top 100 Asia Region card sleeves were given out to the Top 100 Duelists of each region – Hong Kong, Malaysia, Philippines, Singapore, Taiwan and Thailand. Hence, there are 600 packs of these sleeves in circulation. These card sleeves comes in a pack of 100. The sleeves are loose-fitting, of good quality, and comes with a nice shiny golden surface. 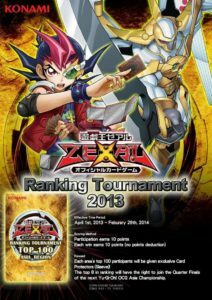 The Asia Championship 2014 card sleeves were given out to the Top 50 Duelists of the Asia Championship 2014 Qualifiers held in Hong Kong, Malaysia, Philippines, Singapore and Taiwan. The Yu-Gi-Oh! 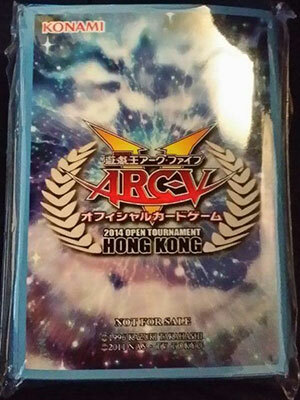 Open Tournament Hong Kong 2014 card sleeves were given out to participants of the YOT Hong Kong 2014 Asia Premier tournament. The sleeves are also given out to winners of the YOT Hong Kong 2014 Regionals and Top 32 of the YOT Hong Kong 2014 main event. These card sleeves comes in a pack of 70. The sleeves are good-fitting, of decent quality, and comes with a glossy surface. 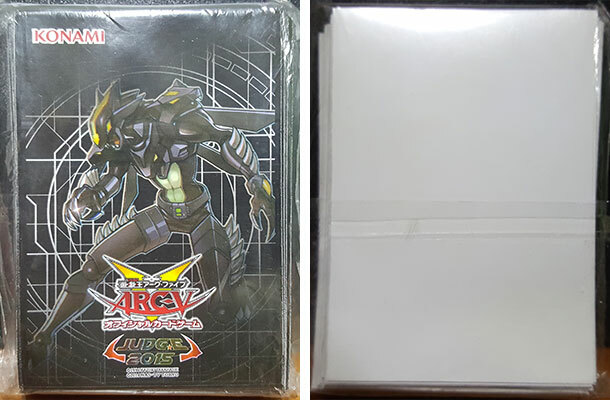 The Asia Judge 2015 card sleeves, featuring Masked HERO Dark Law were given out to Judges that volunteered for various official major tournament that were held in OCG Asia from 2014 to 2015. Unfortunately, counterfeits of these sleeves in circulation has undermined their value. 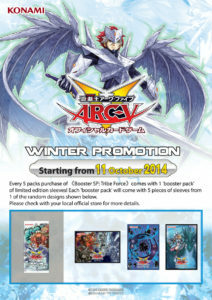 The Winter Promotion 1 card sleeves were given out during the promotion of “Booster SP: Tribe Force”. 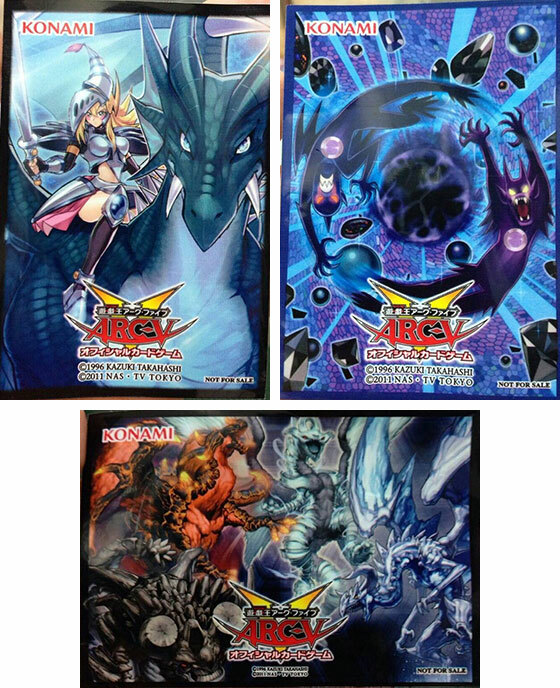 The card sleeves comes in 3 different designs, featuring Dark Magician Girl the Dragon Knight, Shaddoll Fusion and the 4 Dragon Rulers. These card sleeves comes randomly in a pack of 5. The sleeves are good-fitting, of poor quality, and comes with a glossy surface. 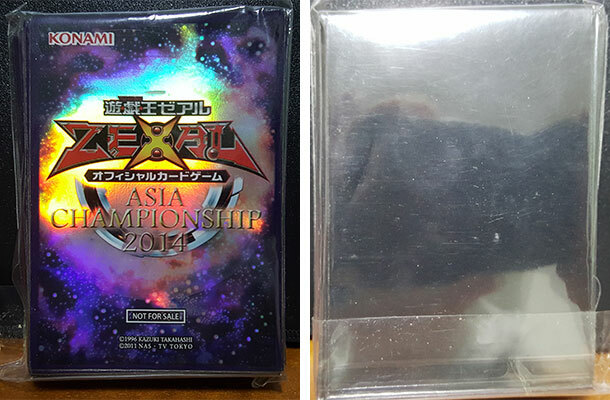 Due to the uneven cutting from the poor manufacturing, these sleeves are not recommended for tournament usage. The Winter Promotion 2 card sleeves were given out during the promotion of “The Secret of Evolution”. 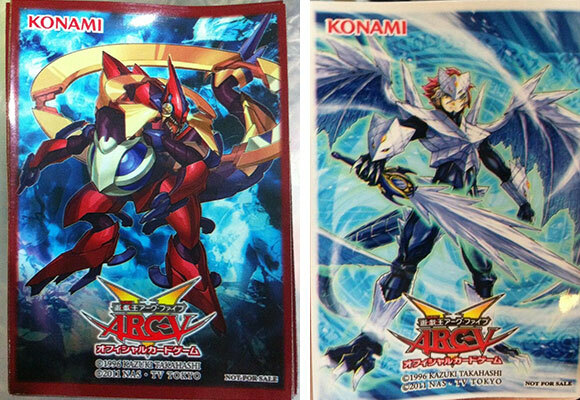 The card sleeves comes in 2 different designs, featuring Rune-Eyes Pendulum Dragon and Nekroz of Trishula. 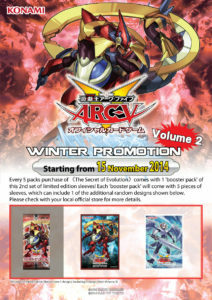 Similar to the Winter Promotion 1 sleeves, these sleeves also suffer from poor manufacturing, and are not recommended for tournament usage.